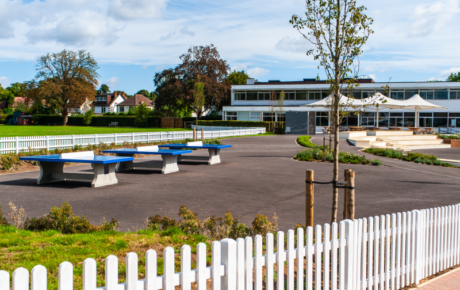 After a recent period of expansion, Watford Grammar School for Boys were looking to address their shortage in playground space. 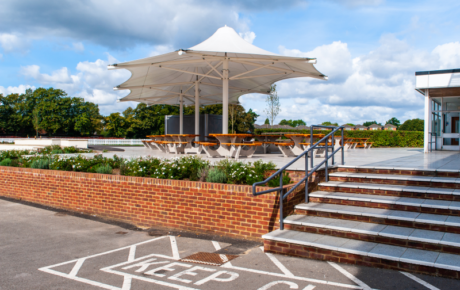 Tall cricket nets, which obscured the view across the playing fields, further constrained the site. 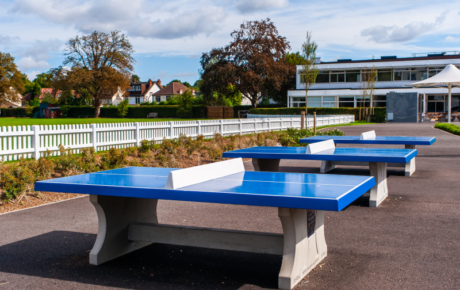 In addition, the size of the schools existing canteen facilities made it difficult for all pupils to eat their lunch at the same time. 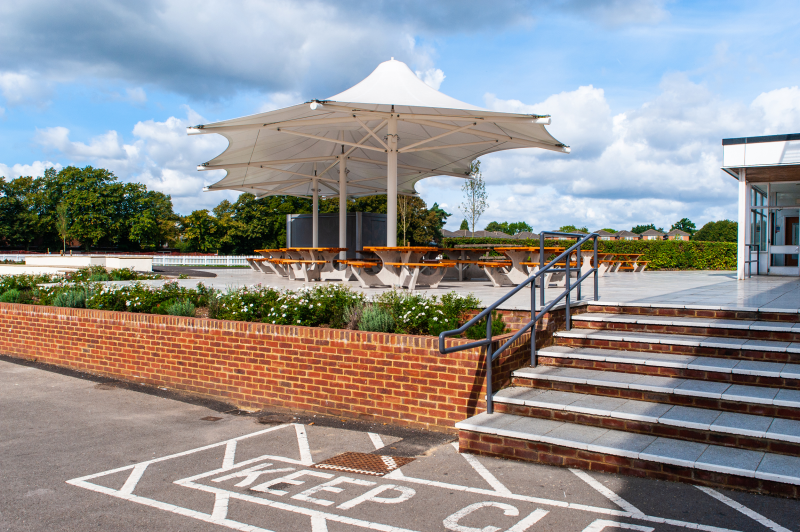 The canteen was accessed via steps or an unattractive ramp. 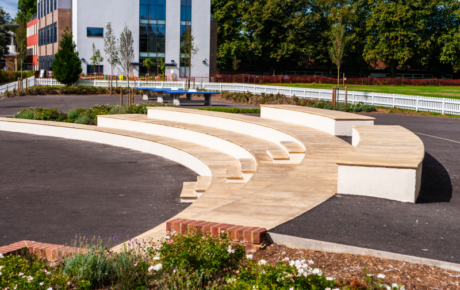 The innovative solution put forward by our design team comprised the creation of an amphitheatre utilising the playground bank. 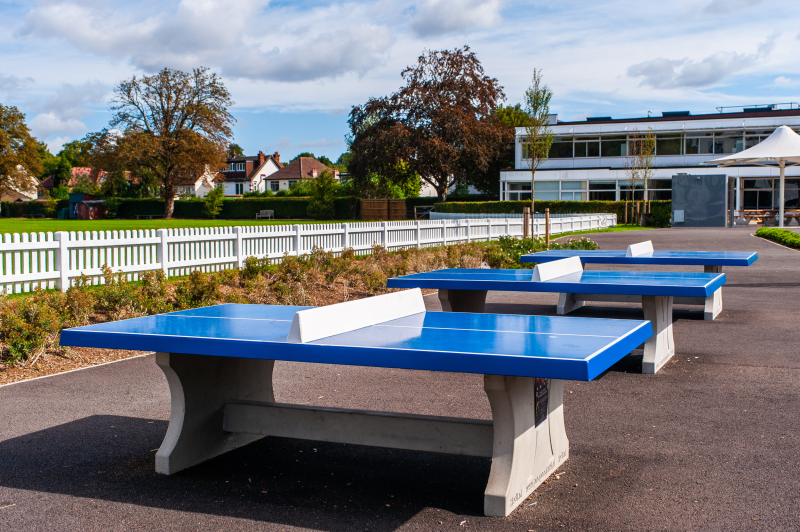 As well as providing seating for pupils to relax, socialise and enjoy their lunch the design ingeniously mimicked the line of the existing school building. 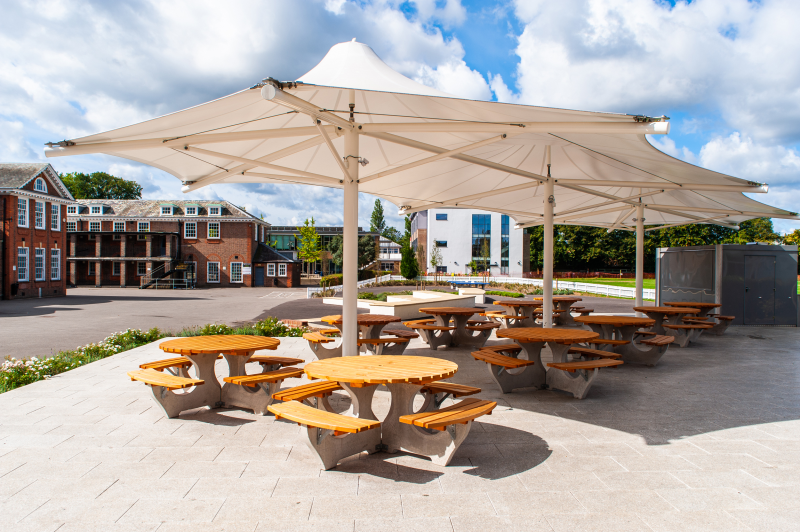 It was also designed to allow for the photography of an entire year group. 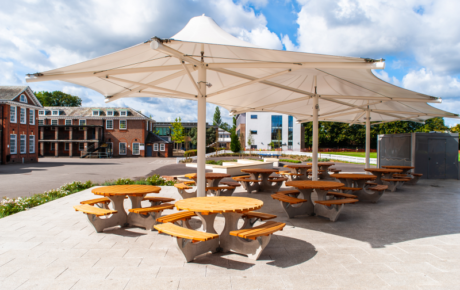 The existing cricket nets were relocated to the other end of the site to allow for the creation of a new outdoor dining space including a food cube and triple conic canopy. 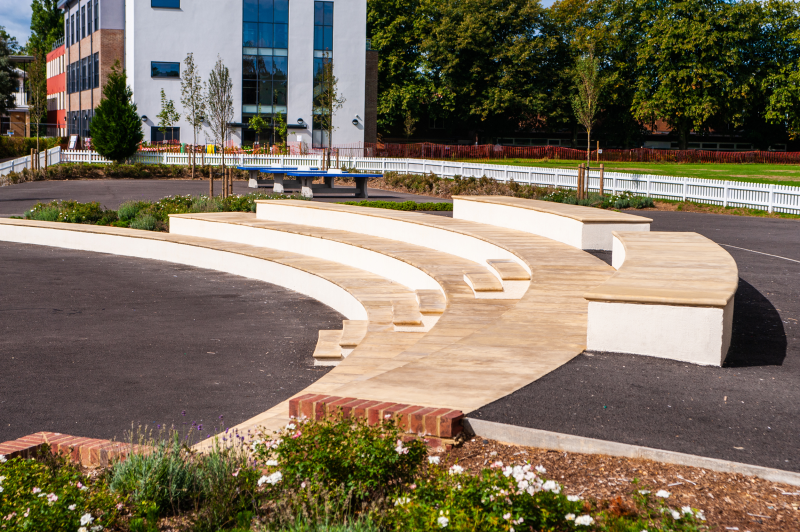 The outer line of the amphitheatre is a gently sloping path providing step free access across to the canteen and the expanded outdoor dining areas. 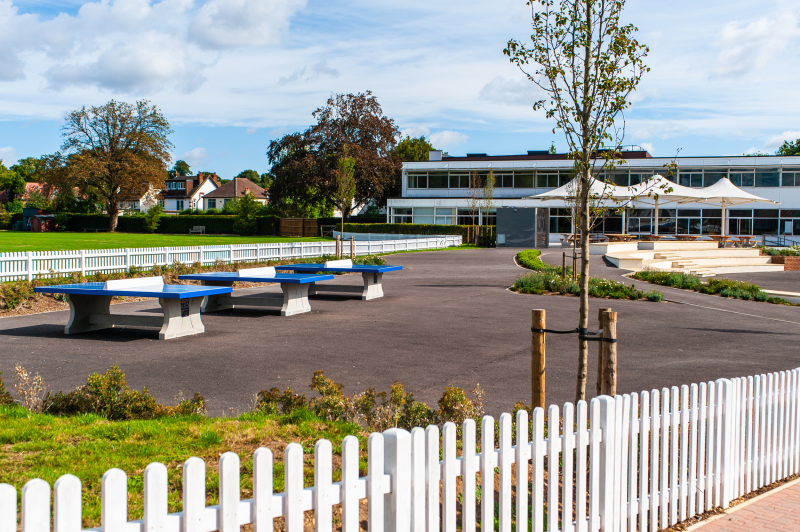 Synergy were delighted to provide design, project management and cost consultancy services on this project, which has dramatically improved the outdoor recreational facilities at the school.